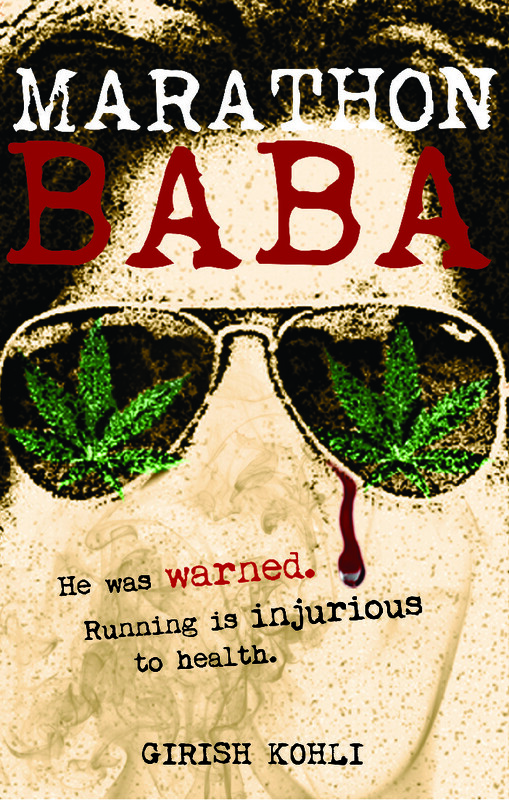 ‘Marathon Baba’-‘The kickasss fiction that breaks all rules of writing’.yes indeed a very catchy review by the hindu..Let us find out how did Mr.kohli got upto this psychedelic style of writing. Niharika-Sir our readers would like to know what inspired you to write marathon baba? Girish sir-Creativity finds its own creator. The thoughts of running away from my life were breeding inside me for a long time. Eventually, the outburst poured out on paper. I was very excited to explore the themes of escapism and eternal peace. Marathon Baba took me on a great journey. 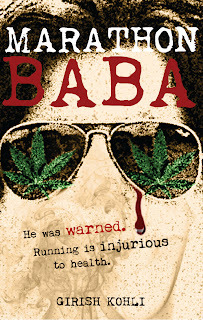 Niharika-Where did marathon baba come from.What was the first step towards this book? Girish sir-Marathon Baba came from my nomadic subconscious which is always searching for peace. Marathon Baba is a consummation of my life experiences, my imagination, every book that I have ever read, every person I have ever met and every movie that I have ever watched. Niharika- great..The cover page of the book shows a place called freenagar.Tell us about it. Girish Sir-I am so happy you noticed that. I have travelled a lot over India and I have spent a lot of time in Srinagar. Freenagar is the title of one of my books in progress. It is my interpretation of Srinagar. I feel that except the people of Srinagar, nobody has the right to write about Srinagar, but then, nobody can stop me from writing Freenagar. Marathon Baba exists in a third world country, it could be any country in the world and Freenagar is the truth of every third world nation. Although Freenagar does not feature in the book, I thought of putting it on the map to give readers a better idea of how Girish Kohli thinks. Niharika- wow…This has to be noted indeed..Please Tell us any one of the memorable moments of the time you were writing this book. 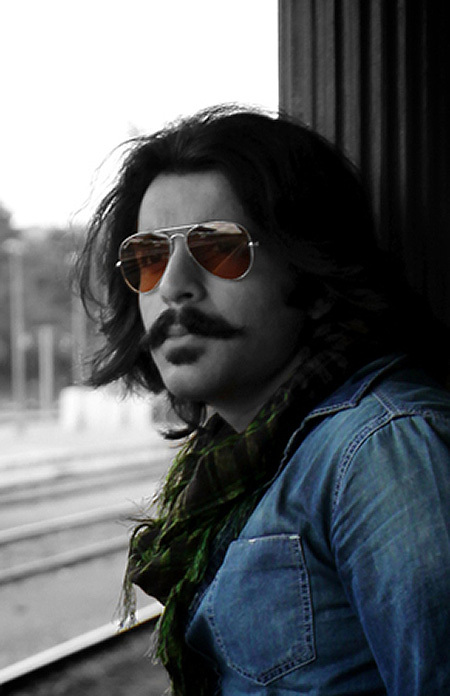 Girish Sir-I am not really conscious of what I am writing when I am writing. I never remember how it all came in the book. When I read my work today, it surprises me. I say, ‘when did I write this?’ But I do remember that I cried twice while writing because of what I was writing. Once during chapter 21 and then during chapter 28. Niharika-Sir this is the third book you have written but the first one to get published.What about the other two? Girish Sir-The other two are called “Junkies” and “Ahoy”. Nothing much has happened with them. Publishers are showing interest in what I want to publish next, but I don’t know what I want. I love the uncertainty of my life. Niharika-We are loving it too.Apart from the story, the cover itself is very unique..whose idea was it? Girish Sir-The cover’s credit goes to my publishers. They have a young and creative team on their side. Niharika-Sir what are we getting after marathon baba? Girish Sir-I don’t know. “Junkies’, ‘Ahoy’, “Freenagar’ or perhaps a historical fiction that I am researching on. I am excited about this historical fiction. It is not only a fascinating story but also asks a very pertinent question. There are so many stories in my tummy that I am gaining weight day by day. Niharika- J oho Never mind.. Is there any message you would like to give our premature writers? Girish Sir-Read. Travel. Love…. And you shall become great writers. Niharika-I am really thankful to you sir for your valuable time and a great coffee over J I really look forward to all your works.